Every year we pray and yearn for our wishes to be granted. 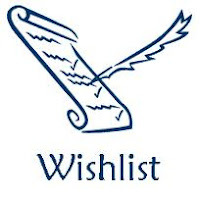 What is written in the lists are the material or intangible things we want to have in the next year to come. Maybe not all but some of our Christmas wishes do come true. § I ask for peace on Earth and goodwill to all men. Conflicts and war be ended. § I want an ebook reader, instead of a new cellphone. I’ve been reading my ebooks in my notebook, desktop pc, pda or in my son’s psp. I need to organize my ebooks in one gadget that serves its purpose. § I wish for a new job for my eldest son, though he enjoys his work right now being a technical support representative in one of the prestigious bpo here in the Philippines, as a mother I am very much concerned with his health and aspiring for a much better corporate job where his skills being an IT would develop and flourish. § I hope and pray for my youngest son to maintain or better uplift his class standing/ranking. Being a transferee, he got into the cream of the crop section and entered the top 10 being the 6th rank on the first quarter of the school year, come second quarter he made it into the 3rd rank. Third quarter exams is scheduled before the school’s Christmas vacation, so I’m wishing him the best of luck. § Good health and much better life for my family, parents, sisters and their families. § I want a tablet pc too. § Most of all, I just want a brilliant Christmas with my two sons, husband and my family. I wish that all your wishes will be granted, sis.. Advance Merry Christmas! Thank you sis Eihdra for the compliment! Merry Christmas too! By the way, hope you can join my giveaway. I have lots of it at my blog. Thanks!! Hello Mommy Rubz! Thank you! kaka-flatter naman hihi. Dugyot pa blogsite ko, all i know pa lang is to write and write and write ahaha, still on the learning stage of the ins and outs of blogging, it will still be a long way to go. I am visiting your blogs sister, medyo nahihiya pa ako, thanks for the invitation, I will join your giveaways, yey!